Where should we send the membership package? Send me the membership package. Send my recipient the membership package. Please note, the membership package will be shipped as soon as possible. Plus or Premier coverage commences 7 days after payment is applied. 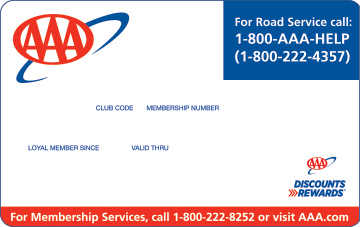 Member will be eligible for basic roadside assistance during this period. You have not finished adding your additional member. If you continue now without clicking 'Add Member', the additional member will not be added to your gift.